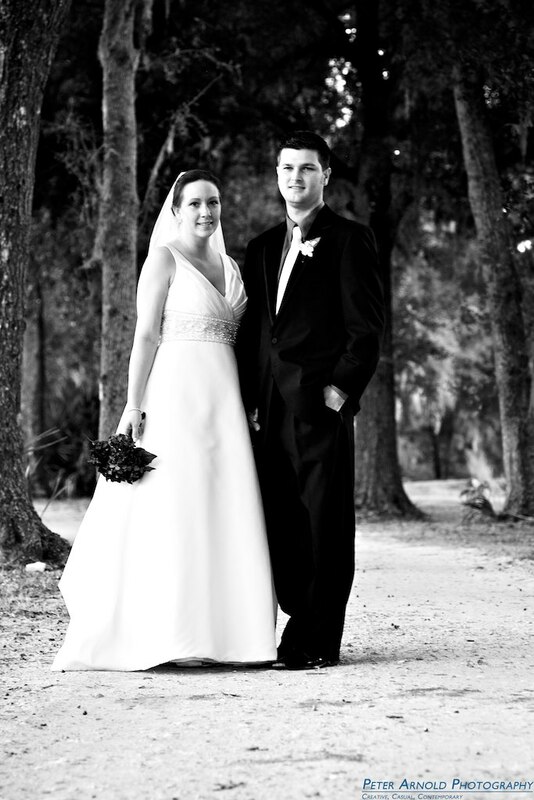 Here is a photo from a wedding at the Hidden Lakes Golf Course in New Smyrna Beach, FL. The bride and groom had planned a quick ceremony so that they could then head out on the course with me for special bride and groom portraits. For this photo, I had Brandon and Stephanie walk down one of the cart paths, and then pose there, making them framed up by the trees on the sides of the card path.